Cut 45 degree kaleidoscope triangles that finish to 8 in.or make an eight petal Dresden Plate. 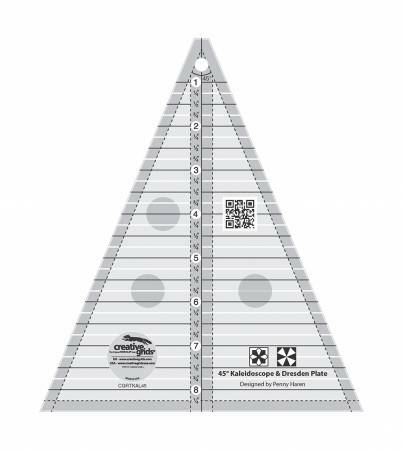 This triangle is oneof a series of rulers that share the same markings & worktogether to cut your favorite triangle shapes. It features in grip around entire edge that holds fabric when cutting.